When will be The Unexplained Files next episode air date? Is The Unexplained Files renewed or cancelled? Where to countdown The Unexplained Files air dates? 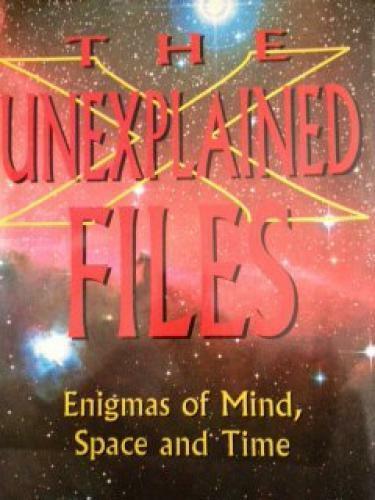 Is The Unexplained Files worth watching? From strange abductions, to mutated species, to bizarre occurrences, there are some phenomena that science cannot - or will not - explain. This summer Science Channel unveils some of these shocking and mind-boggling cases from around the world in the world premiere series The Unexplained Files. From mysterious disappearances and UFO encounters, to unidentified fanged predators and reported curses, The Unexplained Files investigates actual, inexplicable occurrences that have confounded scientists and inspired legends. Science Channel invites viewers on a mystifying journey that will challenge disbelief with The Unexplained Files. The Unexplained Files next episode air date provides TVMaze for you. EpisoDate.com is your TV show guide to Countdown The Unexplained Files Episode Air Dates and to stay in touch with The Unexplained Files next episode Air Date and your others favorite TV Shows. Add the shows you like to a "Watchlist" and let the site take it from there.